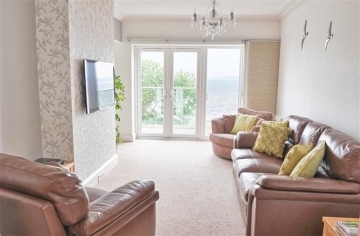 'The Beacon' is a two bedroom luxury self catering apartment with private balcony. 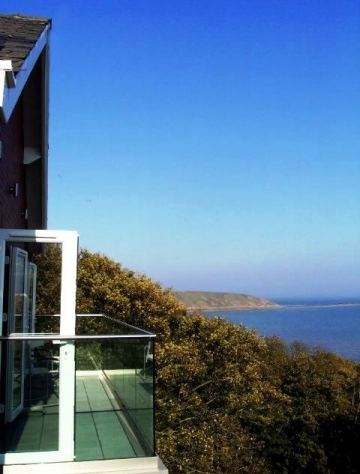 Located in a unique cliff top position in Filey, with magnificent panoramic sea views towards Flamborough Head and Filey Brigg. Filey beach was voted Beach of the year 2018, by The Times and 1 of the top 15 best beaches in the UK, by Conde Nast Traveller. Our luxury holiday apartment is designed and furnished to the highest standard and is perfect for a romantic break or a family holiday. The apartment was originally part of one house built in the 1930s and lived in by our family. The house was architect designed and built. The apartment can sleep up to 4 people. The apartment is equipped with modern furniture, has been individually styled and retains original features. Located just minutes from the beach, you are in one of the most unique and stunning locations in Yorkshire.